Nowhere else in the world romanticises food like Italy, with many of the world’s favourite dishes originating in Italian kitchens. From pizza to lasagne to risotto to tiramisu; it’s no wonder that Italian restaurants are ever-popular wherever they pop up in the world. However, to really get an authentic taste of Italian food, you’ve really got to visit the country – using the local flavours, ingredients and knowledge which shaped its culinary evolution. 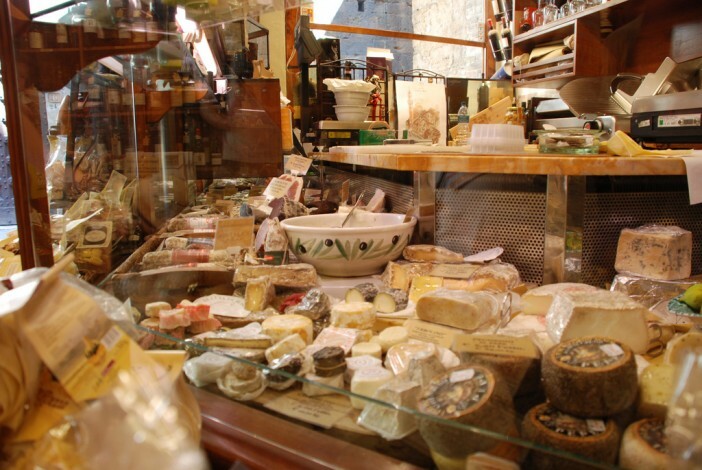 So, here we take a foodie tour through Italy, introducing you to local specialities and delicacies. Napoli is the undisputed home of pizza. Despite chefs and kitchens around the world adding their own flairs and flourishes to the food, traditional pizza is incredibly simple. 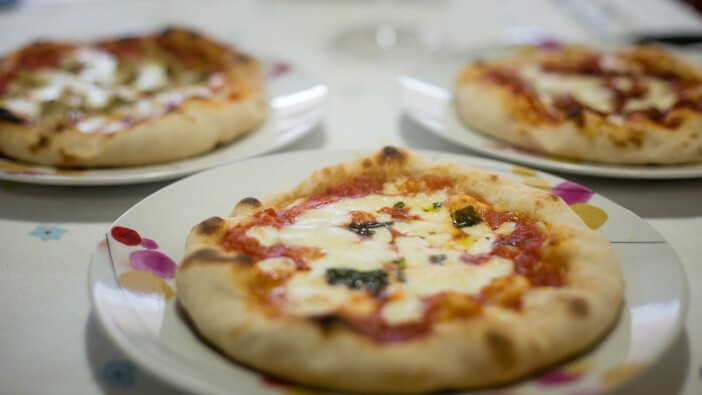 Made from a wheat flour, Neapolitan yeast, salt and water; the dough provides a base for the sauce made from local San Marzano tomatoes grown on the volcanic plains to the south of Mount Vesuvius. There are a couple of things to look for when searching the city for real, authentic pizza. Here are our insider tips to find the real deal. You’ll hardly be able to turn without spotting an authentic pizzeria in Naples – but here are just a few of the best. For many, their first introduction to pasta is spaghetti Bolognese. Originating in 18th century Imola (close to Bologna, from where it takes its name), spag bol has become so commonplace in the UK and throughout the world, it has lost a certain sense of occasion. However, proper good authentic Bolognese sauce is still a wonder to behold, and the rich meaty taste enriched of Ragu alla Bolognese is a million miles from the straight-from-the-jar variety served every night in the UK. 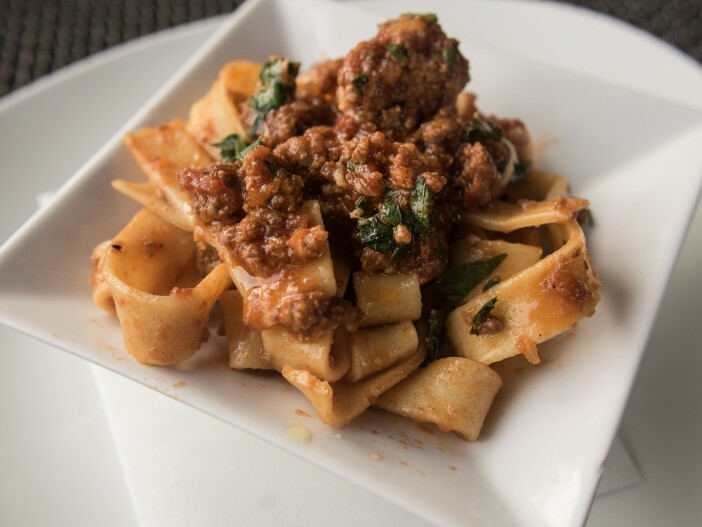 In 1982, the Italian Academy of Cuisine registered the official recipe for Bolognese which can be found here if you wish to recreate it at home. In Bologna, spaghetti is seldom used with authentic Bolognese with chefs preferring to use fresh tagliatelle, pappardelle, fettuccine or rigatoni. Additionally, the sauce is used to create traditional baked lasagne by many Italian chefs. Although not as central to the city’s culture as pizza is to Naples, there are still plenty of places to dine on traditional Bolognese in Bologna. You don’t need to eat out in a restaurant or trattoria to experience authentic Italian cuisine. 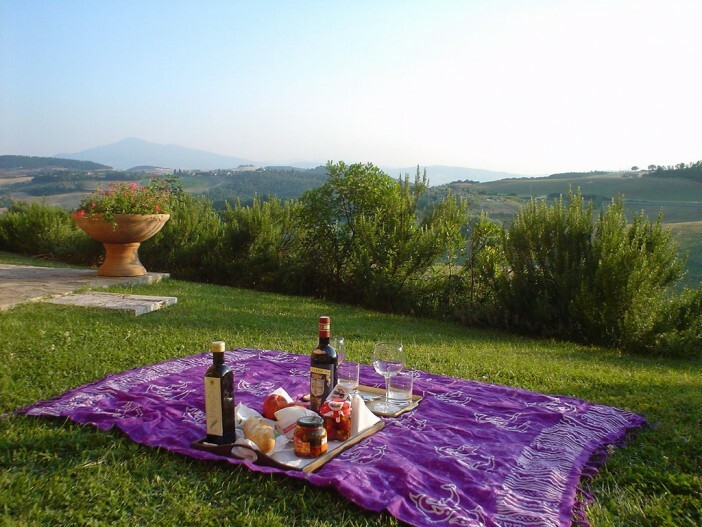 In fact, one of the most pleasurable ways to enjoy the flavours and cultures of this unique country is to take to the Tuscan hills with just an authentic picnic, pitch yourself under the tree which offers the best shade and pick at a great selection of food and drink. Whilst it is completely up to you what to bring, here are some of the ingredients which can make up a truly authentic Tuscan picnic. Nowhere in Italy has had the same level of overseas influence as the island of Sicily, with Arab, Greek and Spanish flavours sewn into the culinary culture. Even the strong tastes of Northern Africa have become commonplace in north western Sicily where couscous is plentiful. The Sicilian influence over the fictional characters of The Godfather and The Sopranos has shaped how we view the food of the island. The latter in particular demonstrated the strong family values which are deeply connected to the foods of their heritage – with the likes of baked ziti playing huge relevance in the emotional development of characters. Whilst the characters were fictional, the importance of food to the Italian people was true to the very core. However, perhaps the biggest contribution Sicily has had on Italian cuisine is the cannoli. 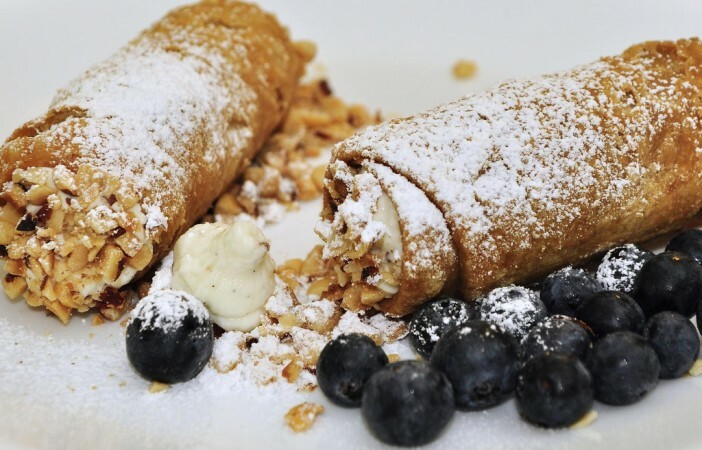 Thanks to the abundance of citrus fruits and nuts which grow on the island, sweet treats are a major part of the food culture, and cannolis are no exception. With hundreds of eateries to choose from, we narrowed this down to the best places to get an awesome cannoli. Much like how Champagne can only derive from the eponymous French region – Prosecco owes its name to the village from where it is derived. 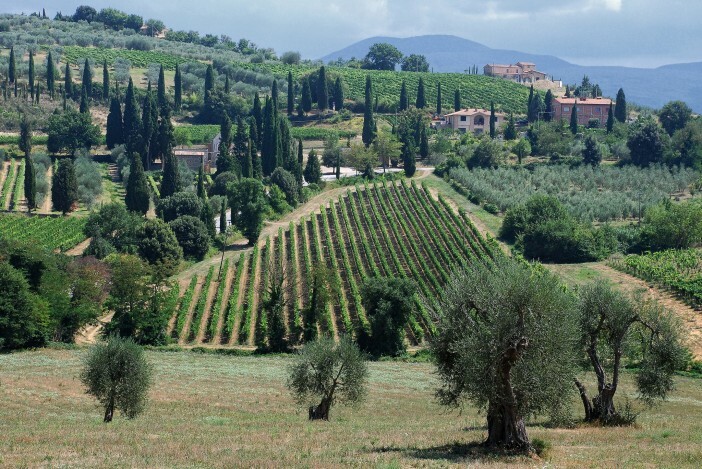 So whilst supping a flute of Prosecco can be enjoyable almost anywhere in the world, nothing compares to doing so whilst sat between the olive groves where the wine is cultivated. Prosecco the sparkling wine traces its history back to the village of the same name, with the oldest known mention of the name used in 1593 by Englishman Fynes Moryson who was visiting Italy at the time. However, modern Prosecco is mainly made in the areas of Conegliano and Valdobbiadene – which is where we’d recommend all fans of the fizz to visit during a vineyard tour of the country. There are a number of beautiful vineyards in which to enjoy a glass or two of Prosecco — not to mention beautiful surroundings. So if you are ready to start your foodie tour of Italy, there is really no finer way to make your way to the country than on a cruise ship. For a great selection of Italian cruise holidays, visit the Cruise1st homepage or call our dedicated team on 0808 274 6777.